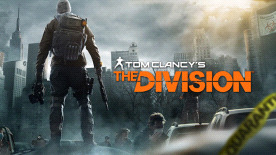 Tom Clancy's The Division is an upcoming open world third-person shooter role-playing video game with survival elements. In the game, a disease that spreads on Black Friday causes the United States Government to collapse in five days; basic services fail one by one, and without access to food or water, the country quickly descends into chaos. In the wake of the devastating pandemic that sweeps through cities across the country, including New York City, it is discovered that the spread of the disease is transmitted through germs on banknotes . As a last resort, the player is part of a classified unit of self-supported tactical agents, known as the "Strategic Homeland Division (SHD). Russian language only available with Russian keys.